HANOVER, NH; August 11, 2017—Dartmouth announced today that former 4-year DRFC assistant coach, James Willocks, will return to the Big Green coaching ranks to lead the men’s rugby program. Senior Associate Athletic Director Joann Brislin is eager to welcome Willocks aboard. “James is a great collegiate coach and we are thrilled to have him return to Dartmouth. He is first and foremost an educator and understands the needs of our team members as Dartmouth students and rugby players. James is a hard worker and I look forward to working with him and his staff. 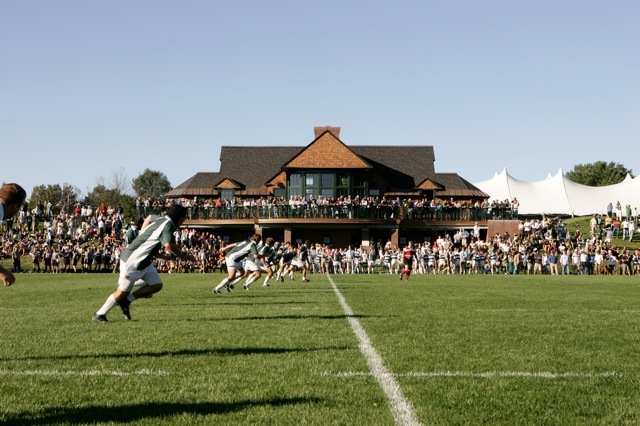 During his first tenure at Dartmouth, Willocks helped the Dartmouth Rugby Football Club win four Ivy League XV and 7s Championships, become a Div. I-AA XVs national semi-finalist and U.S. Rugby 7s bowl champions. He also served as an assistant strength and conditioning coach with the Big Green football program over that time. Most recently Willocks served as head coach of Penn State Men’s Rugby, helping the Nittany Lions to the Varsity Cup national semi-finals. A native of Balclutha, on the South Island of New Zealand, Willocks graduated from the University of Otago, earning a bachelor’s degree with a double major in exercise & sports science and exercise prescription. He has served as an intern for the Otago ITM Cup rugby team in New Zealand, where he also played Premier Level rugby for the Alhambra Union Rugby Club. Willocks also serves as an assistant coach with USA Rugby’s Men’s Collegiate All American team.